The baggage Wrapping Machine could move. Operator put the luggage on Turntable, adjust the vertical pole position according to luggage size, so make the luggage stable on turntable. 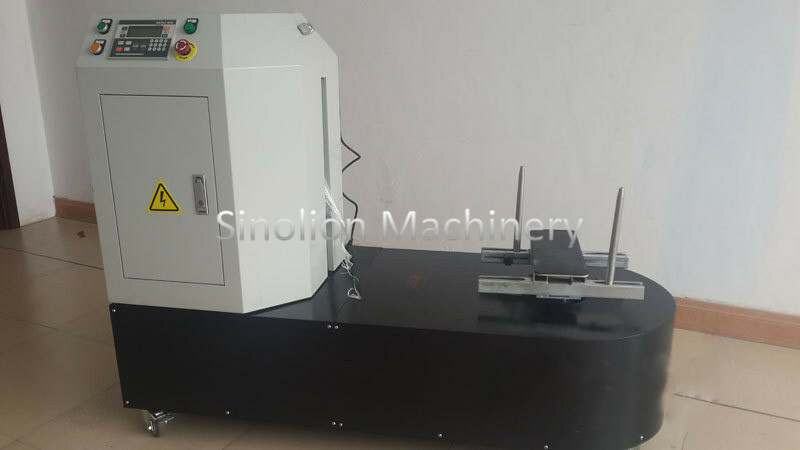 Then operator press the start button on panel,the baggage wrapping machine work automatically. And the packing layers could be setted in advance. Machine easy to be moved by one person. Looking for ideal Film Wrapping Packing Machine Manufacturer & supplier ? We have a wide selection at great prices to help you get creative. All the Min-Stretch Wrapping Machine are quality guaranteed. We are China Origin Factory of Stretch Film Making Machine. If you have any question, please feel free to contact us.